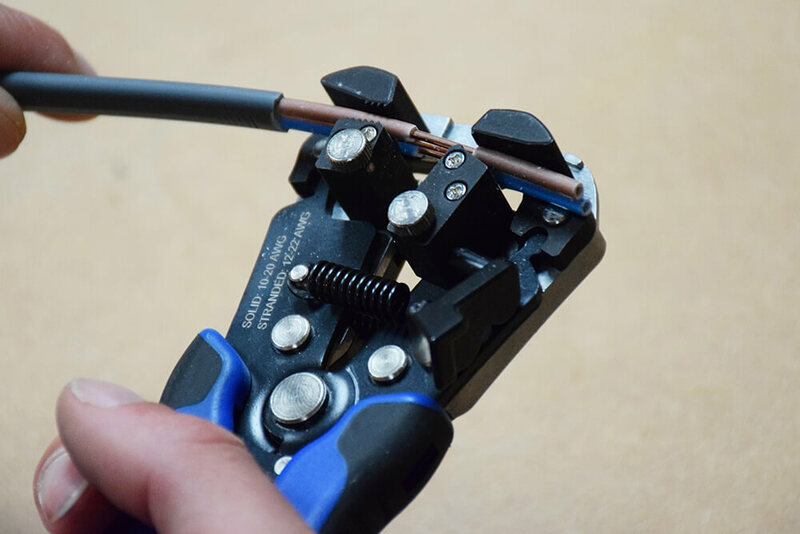 Cuts and strips cable up to 4mm twin and earth and up to 6mm single. 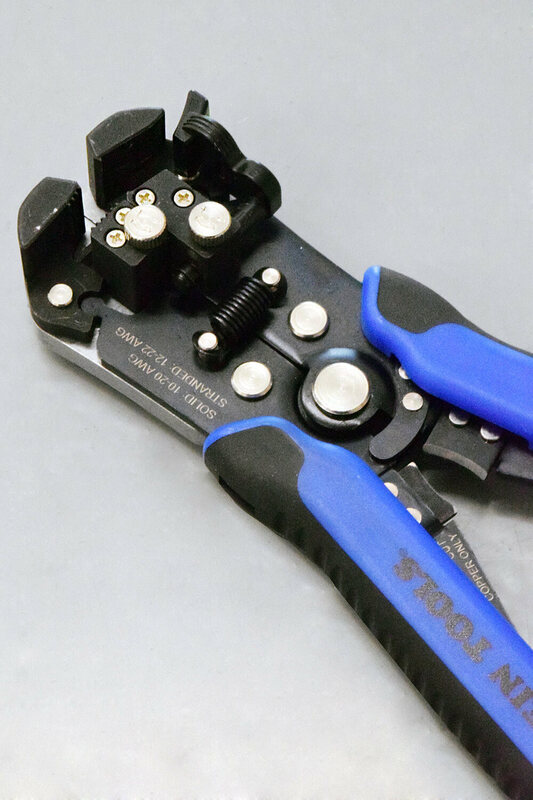 Tension thumb wheel gives you control for a precise stripping of smaller wires. Useful wire cutting blade in between handles. 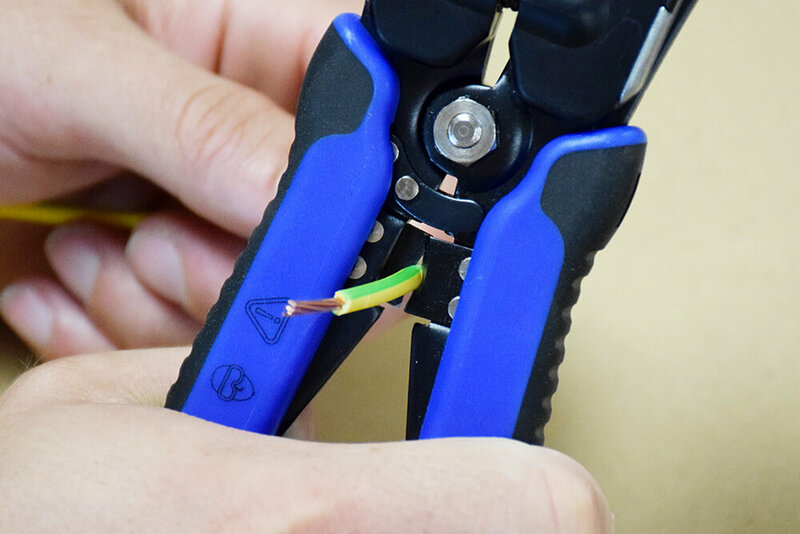 A quality pair of wire strippers are essential for every electrician. Klein have released a self adjusting wire stripper/cutter, which offers two functions in one for a precise and neat finish. 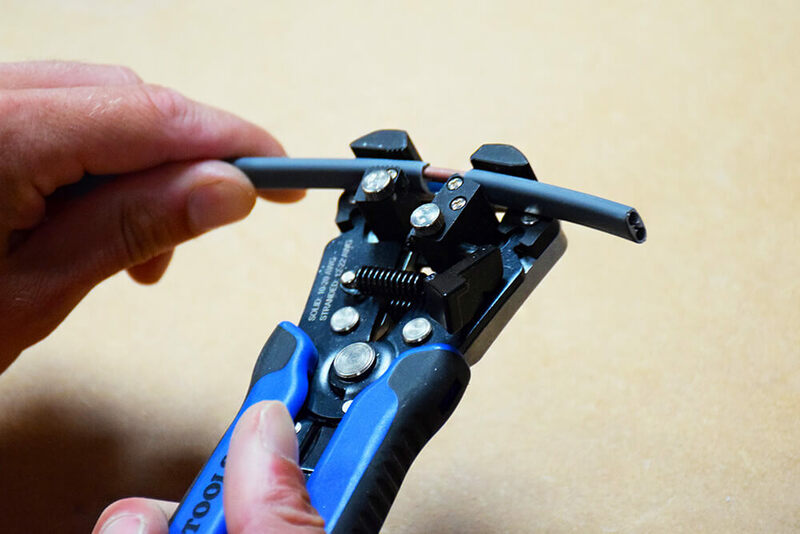 The design may look familiar, as other manufacturers have similar versions available, but our electrical trainer says the quality of the Klein version is much better. 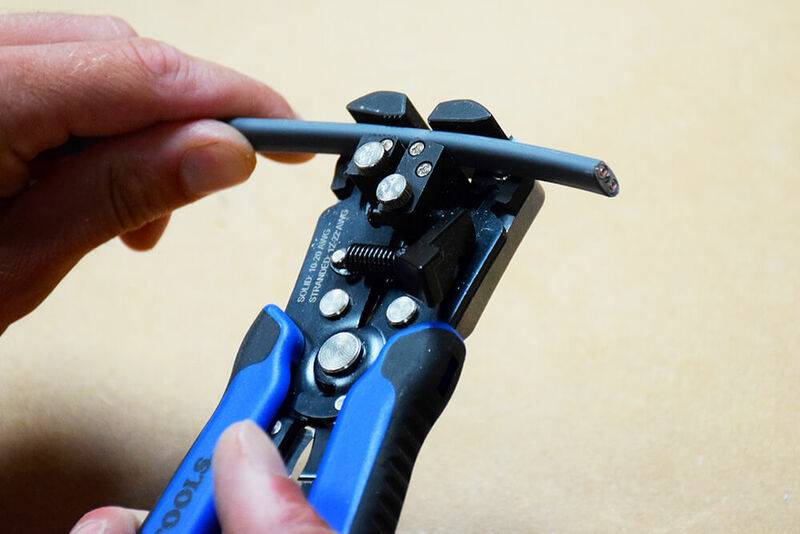 “I’ve used a lot of different manufacturers versions of this style of stripping tool, such as CK, RS Pro and cheap Amazon ones, but these Klein ones are actually the nicest ones I’ve used, which is why I’m surprised they are such a good price” our trainer says. The Klein self adjusting wire strippers will cut and strip up to 4mm twin and earth and 6mm single neatly and with not much difficulty at all. “For the money, they are great value and a good finish, however, they still suffer one disadvantage that the CK version does, which is that they still don’t compare to the Jokari cable strippers” our trainer says. 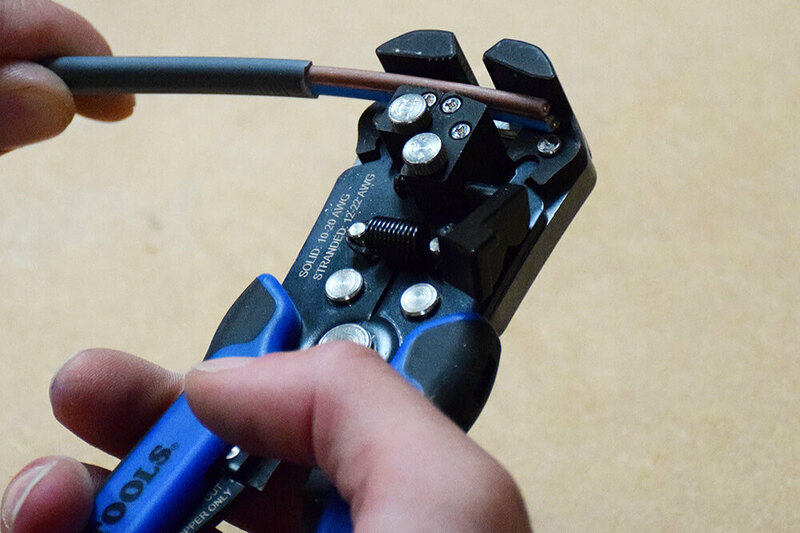 No crimping dyes and instead a handy blade to cut cables in between the handles. Clean strip and cut on cable of up to 6mm, without too much difficulty. Better quality stripping tool than other manufacturers version of this style of stripper. Available online and through local CEF branches for £27-31.